Governor Seriake Dickson of Bayelsa State has said that despite the dwindling statutory allocations the state receives from the Federation Accounts Allocation Committee, (FAAC) in recent times, his administration would strive to complete all abandoned projects it inherited. Governor Dickson stated this while fielding questions from journalists at the Government House, Yenagoa. He noted that but for the drop in revenue accruing to the state; most of the projects would have been completed. Describing Government as a continuum, he explained that, apart from restarting work on some of the abandoned projects such as the five star Tower Hotel, the present administration had since embarked on repaying debts and other liabilities bequeathed to it. His words, “I’m neither somebody who does things haphazardly nor somebody who abandon projects. There will be no abandoned projects under me. We are not going to leave any abandoned projects that we met to be still abandoned for the sake of our people. “I came to government as an angry Bayelsan, considering the level of abandonment, neglect and under-development of our place and people under the pretext of the idea that we have a difficult terrain and we cannot build good bridges, roads and so on. 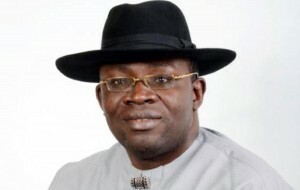 The Bayelsa State Chief Executive expressed optimism that, with resilience and prudence, which forms an integral part that drives his restoration agenda, his administration would be able to fulfill its electioneering campaign promises to the people.